The other is that I didn’t expect discussion of playing sports to be within the site’s scope. There’s always been a clear delineation between “geek culture” and “jock culture” – movies like Revenge Of The Nerds have made that abundantly clear. And while I did play soccer and baseball in high school, my school was ridiculously small, and if I didn’t play we wouldn’t have had enough players for a team. Clearly I was chosen less for my athletic prowess and more for the fact that I had a pulse. To be kind, I was never particularly adept at either sport. I’m pretty sure I was put at forward in soccer because I could hurt our chances less there than on defense. I went two full seasons of baseball playing right field and batting ninth, thanking the Lord that lefty hitters with power in our league were few and far between, and not once swinging the bat. And for most of my adulthood, I stayed away from playing sports. Sure, I love watching hockey, football, baseball, and even curling, but apart from one season of intramural floor hockey in college, I stayed far away from participating. That changed three years ago, thanks in part to our very own Ethan Sacks. Ethan is a hockey fan, too. And at college, he was introduced to broomball, a game that, in its simplest terms, is hockey for people who can’t skate. It’s played on ice, but in sneakers, and with a ball the size of a small soccer ball rather than a tiny rubber puck. The goals are bigger, but the rules are, for the most part, identical to those of hockey. The origins of the game are a little fuzzy, but ignoring tales of Icelandic war games causing multiple deaths (according to Wikipedia), the modern game first appeared at the turn of the 20th century in – surprise, surprise – Canada. What has struck me most about our broomball league is that the people I play with seem to all be intellectual, if not downright geeky. My geek pedigree and Ethan’s are certainly unquestionable, since we write for Unwinnable, and Ethan named our team the Gotham Blades because that’s the hockey team in the Batman universe. But one would think that even a beer league would appeal to jocks before geeks. Thankfully, that is not the case, but for the life of me I couldn’t figure out why. So I did what anyone would do; I went right to the source and asked some of the other league regulars what they thought. And the end result was I realized that it really has very little to do with being a geek. 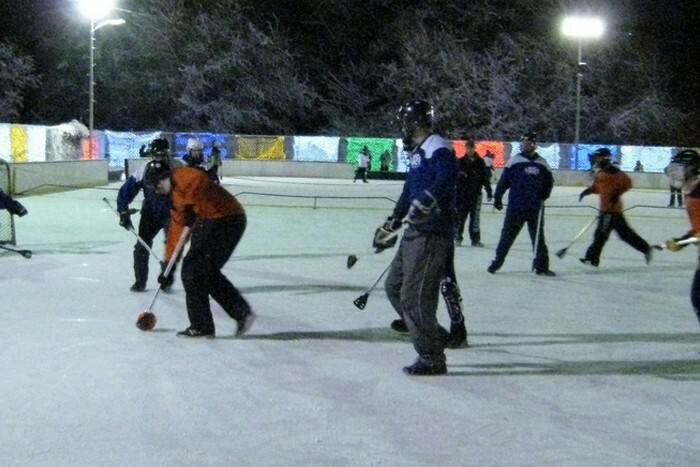 Broomball, at least at the level we play, is not a difficult sport. There isn’t much expectation of super skill when you’re playing a game that involves running around on the ice with sneakers, so it scales well to different skill levels. We’re all going to slip and land on our asses at some point, and even the most seasoned runner is going to have a hard time getting anywhere close to full speed on the ice. The floor variant is a little tougher because of the smaller court, but the smaller court tends to create more lucky breaks. It certainly doesn’t hurt to already know how to play hockey or soccer, but it’s not a requirement. Many of the players I spoke to also pointed out the laid-back attitude shared by most of the league. There will always be hyper-competitive players in any sport, and I certainly am not going to pretend that I don’t like to win. But for the most part, it’s a beer league. Most of us are just looking for an excuse to get some exercise and have a few well-earned post-game beverages on a weekday night. It breaks up the work week, it’s a good way to work out frustrations, and it’s enough fun that it makes it worth the occasional rough Wednesday morning that follows. It also affords us the opportunity to see how the other half lives – to embrace our inner jock. Let’s face it: we’re playing an organized sport, and one that can occasionally get physical. There’s a risk of injury. And there’s gold medals and a bar tab for the league champions each season. And it’s not dodgeball. Nor is it one of the more common social sports like softball or soccer. When I had to explain how I strained my hamstring last season, as soon as I said “broomball” my orthopedist thought I was talking about quidditch. After convincing him that, no, I wasn’t running around with a broom between my legs pretending I was Harry Potter, he then started asking about curling. So there’s a sense of solidarity in being part of something that not everybody gets. Ultimately, a lot of my fellow broomballers reached the same conclusion. Broomball appeals to geeks not because of anything inherently geeky about broomball, but the evolution of what defines a geek. 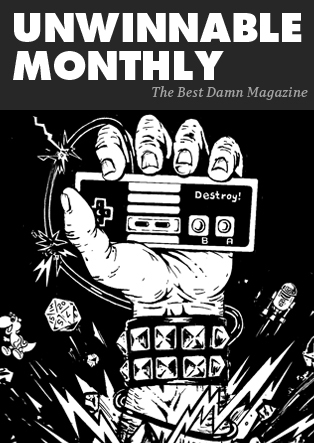 While we talk about video games, RPGs, and comics as geek culture here, it’s part of a wider spectrum of geekdom. And to a point, we’re all geeks about some facet of our lives. 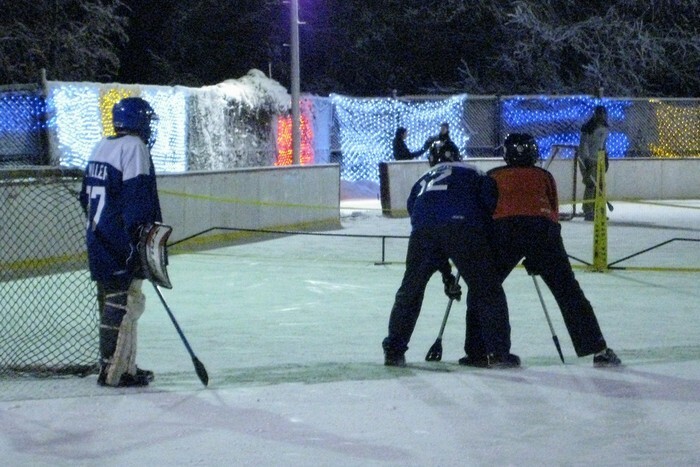 And for my friends, and me, it’s an obscure Canadian sport and the camaraderie that surrounds it. The Spring 2011 season starts on April 5. 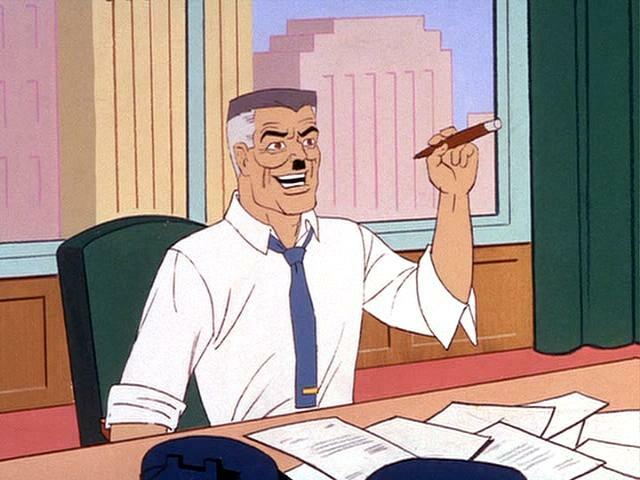 I, for one, can’t wait. 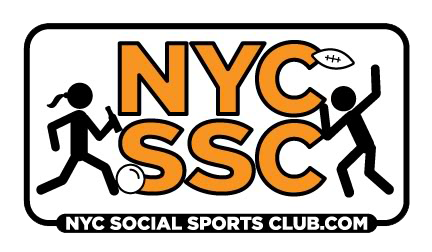 My thanks to the following NYC Social Sports Club broomballers for their invaluable help with this article: Michele Bové, Evan Dashevsky, Rich Glanzer, Annie Hammel, Sergio Jimenez, Tracy Miller, Scott Wyman Neagle, Anthony Orefice, Ethan Sacks and Mike Smith. Don would be a terrible captain if he didn’t send post-game tweets about his broomball team. Follow the Gotham Blades action this season @UnwinnableDonB.